Steven R. Sheffey is a skilled public policy advocate and veteran of some of the most closely watched political campaigns in the country, with a proven record of success in the political and business worlds. 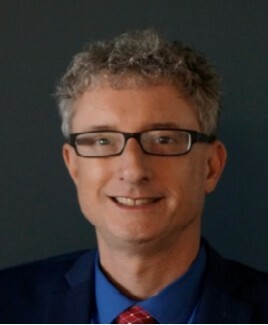 Publisher and writer of the weekly Chicagoland Pro-Israel Political Update, he also has written articles for The Huffington Post, The Jerusalem Post, The Times of Israel, The Hill, The Daily Beast and Medium. Steve served on the Illinois Tenth Congressional District Democrats leadership team, was slated as delegate to the Democratic National Convention for Tom Harkin in 1992, Barack Obama in 2012 and Hillary Clinton in 2016, and worked in various capacities on numerous political campaigns. Steve comes to Bluelight from Allstate Insurance Company’s government relations/public policy division, where he developed and led successful legislative initiatives on behalf of this Fortune 100 company, including the drafting, negotiating and implementing of model legislation throughout the country on insurance scoring and transportation network companies. He graduated from Northwestern University School of Law, where was a Notes and Comments editor on the Law Review. He received his B.A. in economics from Northwestern.